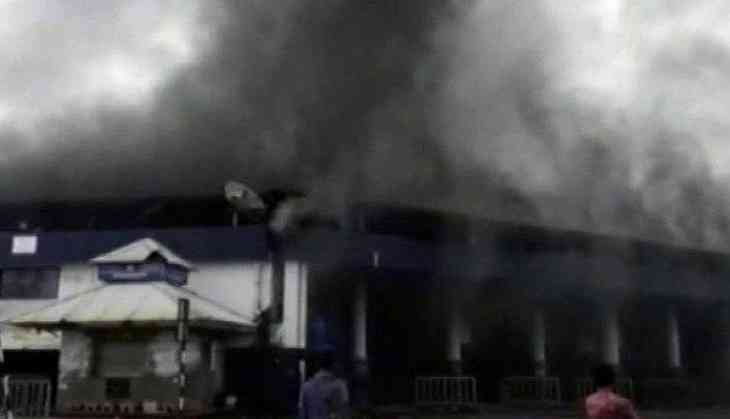 A major fire broke out on 2 October at Kadamaba Transport Corporation (KTC) bus stand in Goa's Panaji. Six fire tenders are present at the spot. Thick smoke was seen emanating from the bus stand this morning, after which several fire tenders were rushed to the spot. Managing Director of KTC, Derrick Pereira told ANI that the super market, which is located below the transport department's office, caught fire. "Shot circuit which caused the fire has also reached the transport department and also the RTO office. If the fire reaches the transport department then the damage would be more as several files of the department would be burnt," he added. The work of dousing the fire is underway.